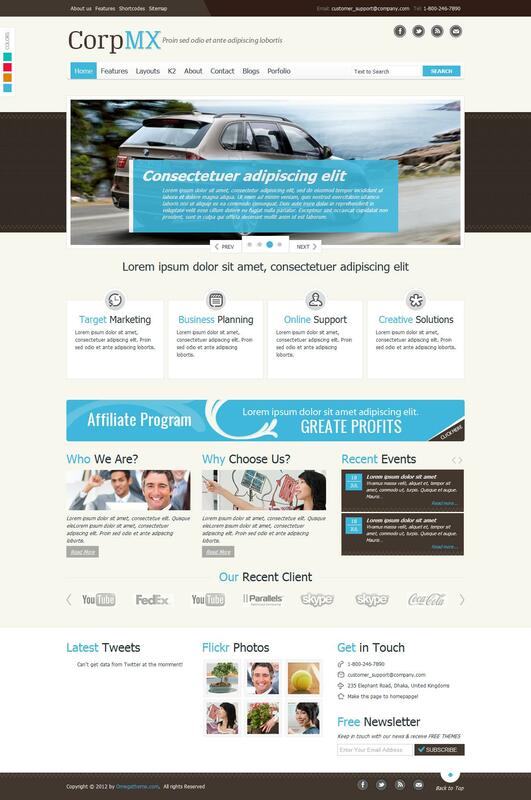 OT CorpMX - attractive and functional business template for CMS Joomla 2.5 from the guys from the team OmegaTheme. The original design of the template is made in bright colors, this 4 preset color style for the selection of optimal design of the site. Corporate rotator materials has very flexible settings to display the information on the site according to the requirements. Built-in support manager powerful content management and additional styles to it, greatly increase the potential and possibilities of the template. OT CorpM - the ideal solution for creating high-quality business projects, corporate or portfolio sites.